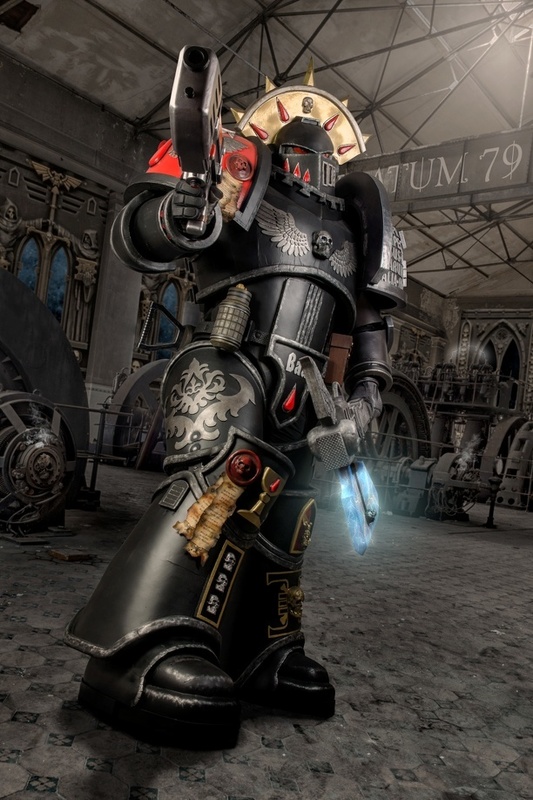 Jesters and Deathwatch and Guardsmen, OH MY! Behold the realistic creations of a Prop Master like no other- whose works are unparalleled in excellence and quality. 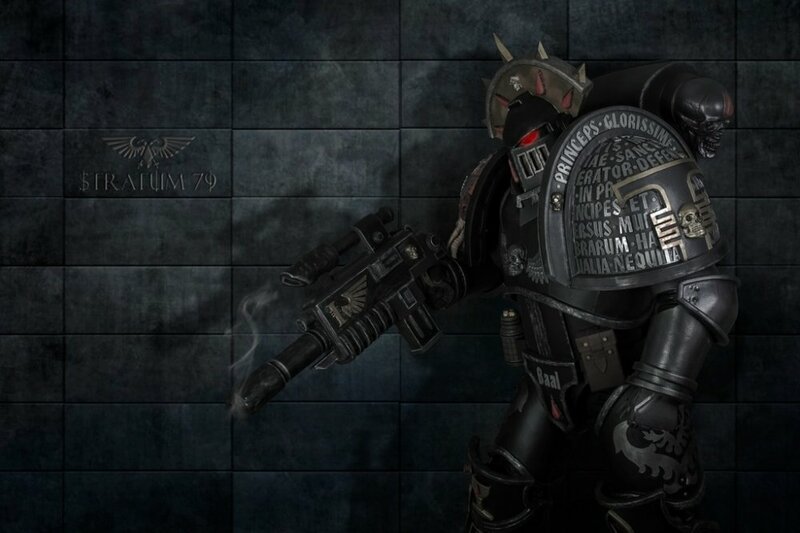 As the Deathwatch are ever Vigilant, so to is the Propmaster ever learning and growing in his trade. 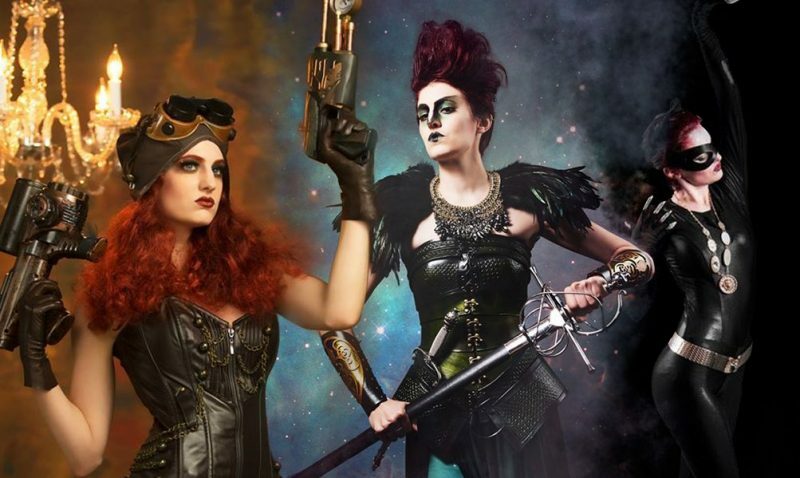 This week on the Cosplay Artist Spotlight, we feature a Maker of superior skill, whose crafts look as though they have leapt straight off the pages of the Warhammer 40k texts. 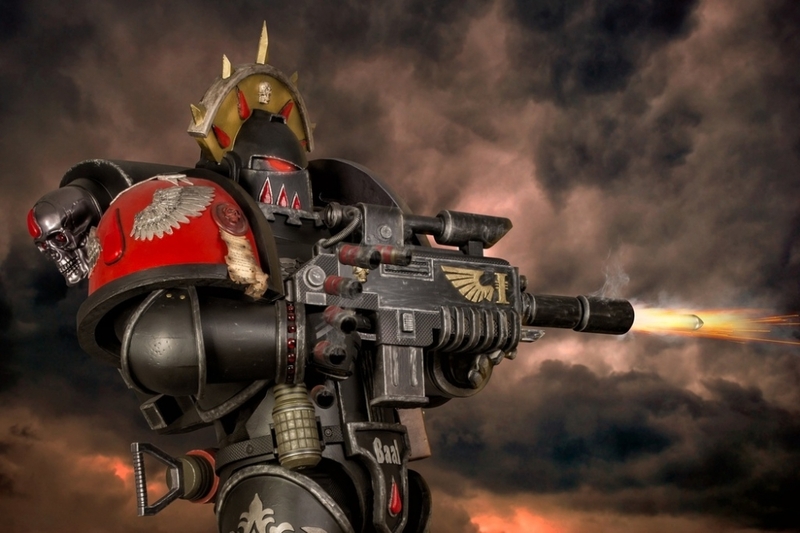 From Splinter Cannons to Power Armor, enjoy the work of Deathwatch Armory! Actually we (we are a group of four friends) started Cosplaying in April 2017, after we visited a Con in Austria. At that point our Cosplays were mostly bought, only a few things where self made. After the con I said to myself “hell, there must be more then just buying that stuff and wearing it”. So it began. We started to build our own armors, and it´s a very important aspect now, that most things are self made. For me, the most fascinating inspiration is that people in this scene are so helpful, there is some kinda strong connection between the people. It´s the most important thing, to construct my armors highly durable, so they will last pretty long, (hopefully). 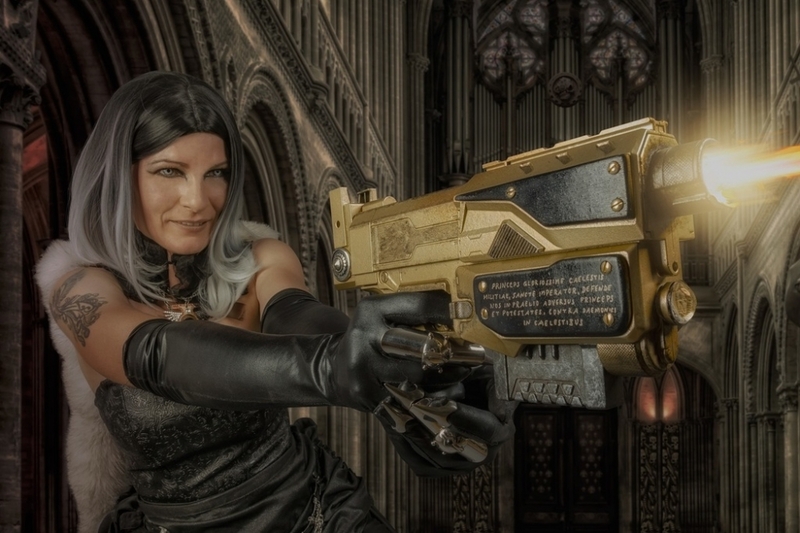 My absolutely most preferred cosplay work is to build weapons. I guess I like it more than building armors. Till my newest project, I really liked my Deathwatch Captain, but right now, I am working on a Sanguinary Guard and I guess that will be my favorite, when it´s finished. 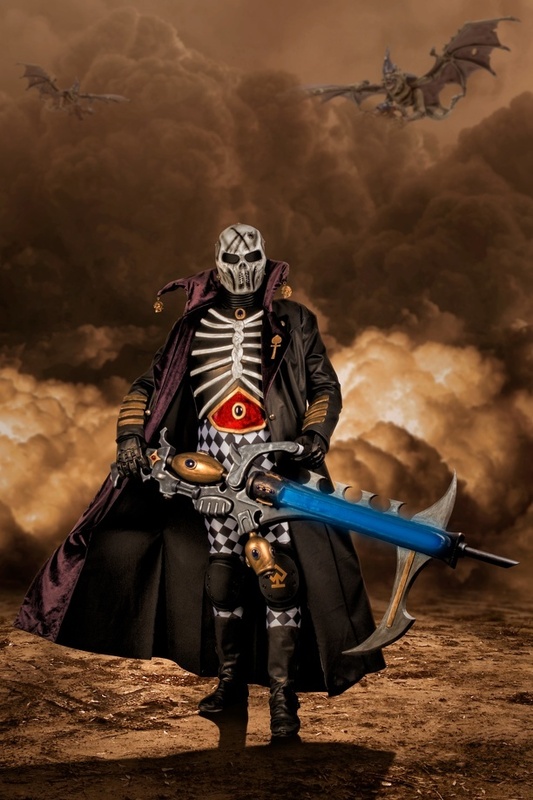 I also love the Splinter Cannon of my Eldar Death Jester! FOAM. Also, technical things like working with all kinda electronic stuff. I really hate working with fibreglass-mats and liquid resin. I got into Warhammer 40.000 28 years ago, and I am still stuck in it Zwinkerndes. During the years I got addicted to the Blood Angels, so, that´s where I am now. A Blood Angel with every cell of my body. They have this kinda gallantry mixed with roman/byzantine aspects and the most important thing, they have this dark contrary mind inside. I really like Dante, also Lemartes and Mephiston, cause they are very tragic characters. This year our last Con will be the VIECC 2018 in Vienna. I don’t like contests at all, cause I hate it to pose and speak in crowded places. Right now I am working on my Sanguinary Guard, my wife is working on Jain Zar. 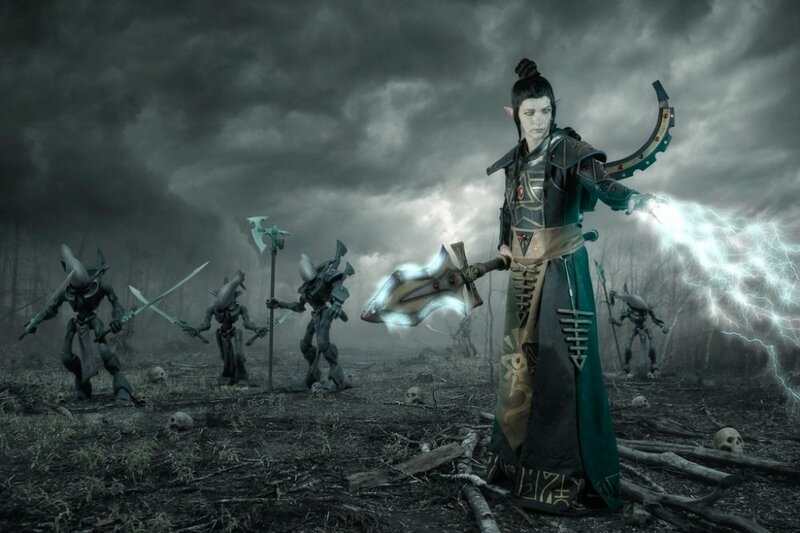 For 2019, for the ACC, we plan a partner Cosplay, my wife as Yvraine, and me as her bodyguard The Autarch. by a friend of mine. Maybe we will do panels at the HaruCon. I guess, the biggest inspiration are the authors and artists from Games Workshop, when we talk about ideas to become true. 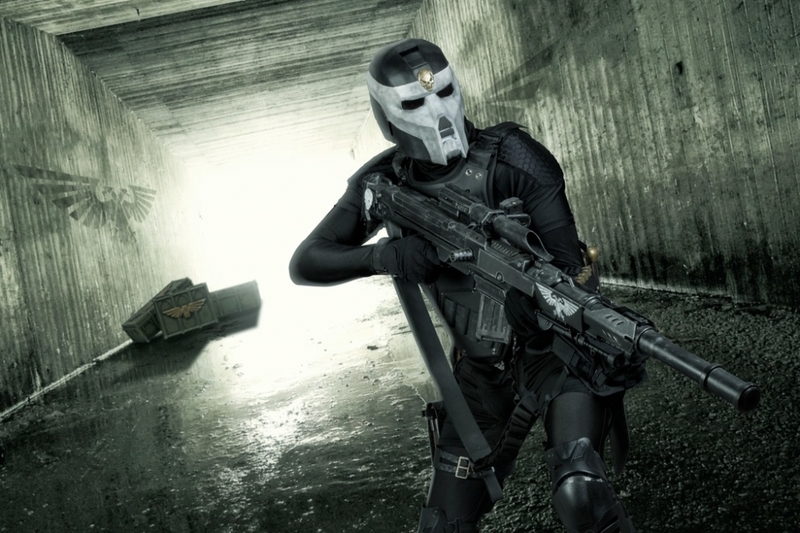 When we talk about prop builders, for sure Adam Savage, Evil Ted, the guys from Punished Props. 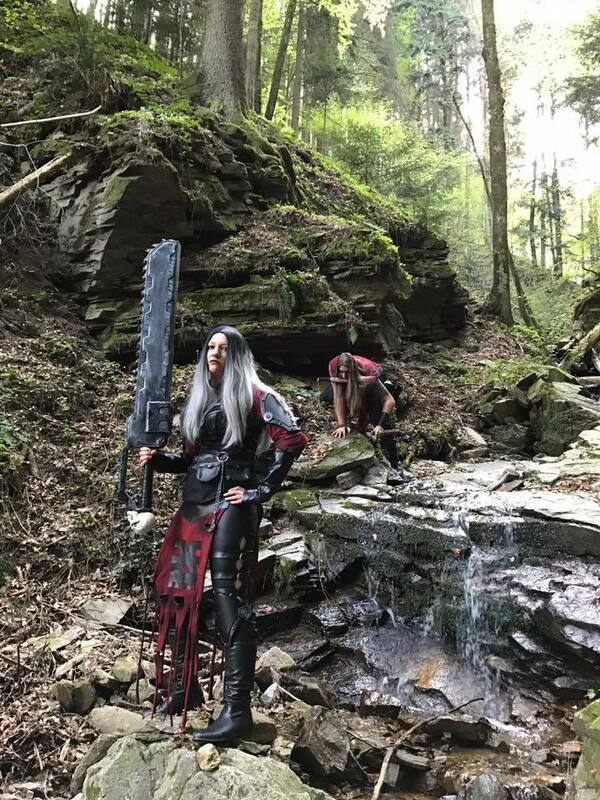 But we shouldn´t forget all the smaller Propbuilders, like our partners in crime, Dave and Mone from Dwarheart Cosplay. Most of the time I hear medieval inspired music like Corvus Corax, but also AC/DC, Rammstein and so on. 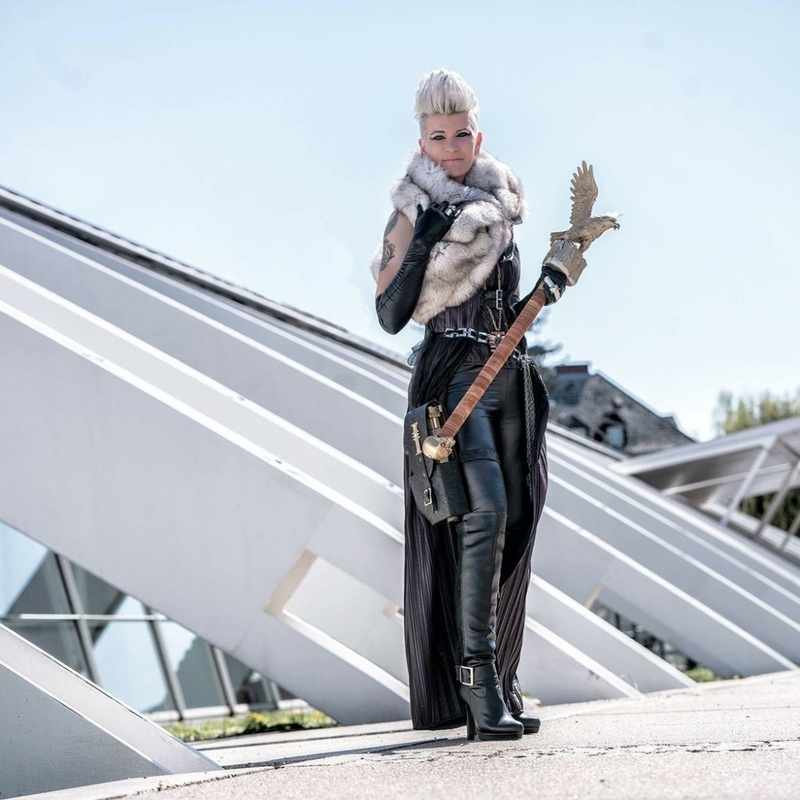 what I have learned and what I can say people about cosplay sounds like a cliche, but I think, when you can dream it, you can do it, but be patient.